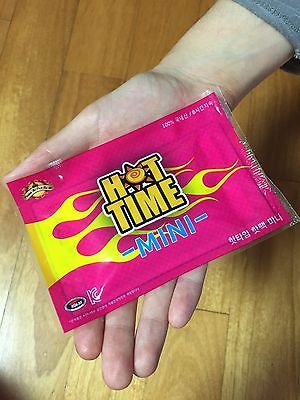 I have traveled to South Korea before and these hand/insole warmer packets could be bought at a cheap price in convenience stores and markets. I was wondering if it would be the same in Amsterdam and Trondheim? These are easily available in many stores in Trondheim. You'll have most luck in shoe shops and sports shops. XXL, one of the largest sports shops in Norway sell these for both hands and feet for 15 NOK (links are in Norwegian). Other sports shops (at least the larger ones) will have similar products. Note: I'm not affiliated with XXL in any way, they just happen to have a very good website (unfortunately not available in English). This answer is for Amsterdam, as the question read originally. Trondheim is in a different country and has a very different set of shops. 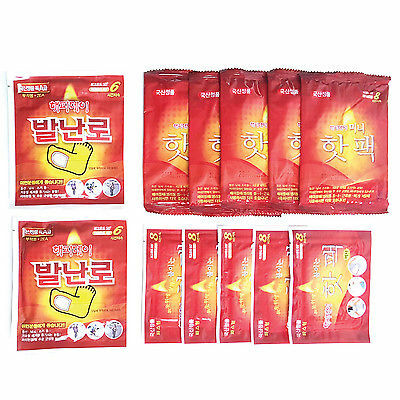 I have seen some handwarmer in shops, of a chain that also has shops in Amsterdam, but not recently and not very cheap. I have never seen any that are insole warmers. This does not mean that they are not for sale, just that I think they are rare or mostly in speciality shops (out of doors sports,) or are mostly short term offers in the cheaper shops which I might just have missed. Amsterdam, the whole of the Netherlands, does not get very cold. Mostly the average winter temperature is around freezing and while people do dress warm in winter, they do not need to prevent freezing hands and feet. Also most people are used to the temperature, not needing extra heat items. People are not likely to use them often in the Netherlands, but Dutch do travel and might want them for holidays. I have done an internet search and found them more easily available than I expected. I see they are on sale for people who go skiing or to the southpole on a cruise, easily available online. But non of the selling sites shows a shop address in the Netherlands. This makes me feel that they might be on offer at some of the cheaper brand shops as well as in ski-gear shops, but likely only on offer for short times or rather expensive in speciallity shops. Hands, insole and body warmers are readily available (and reasonably cheap, although I have no idea how much they cost in South Korea by comparison) from camping/outdoors/sports shops in the Netherlands, including Bever and Decathlon (which both have a presence in Amsterdam and elsewhere in the country). I don't know about supermarkets and convenience stores, I never noticed them but I haven't actively looked for them there. Will update if I see some. I haven't checked but I assume the same must be true in Trondheim, because they would seem especially useful there. They might be more expensive in Norway (because pretty much everything is). Not the answer you're looking for? Browse other questions tagged amsterdam norway winter or ask your own question. How long would it take to hike from Hamar to Lillehammer? Which hotels in Amsterdam have hot tubs in the rooms?